We believe one spark can light a fire; and similarly, that spark can be the source of inspiration for women around the world. Dawoodi Bohra women are among the most progressive in India, and have fought, overcome personal struggles and persevered to get to where they are today. 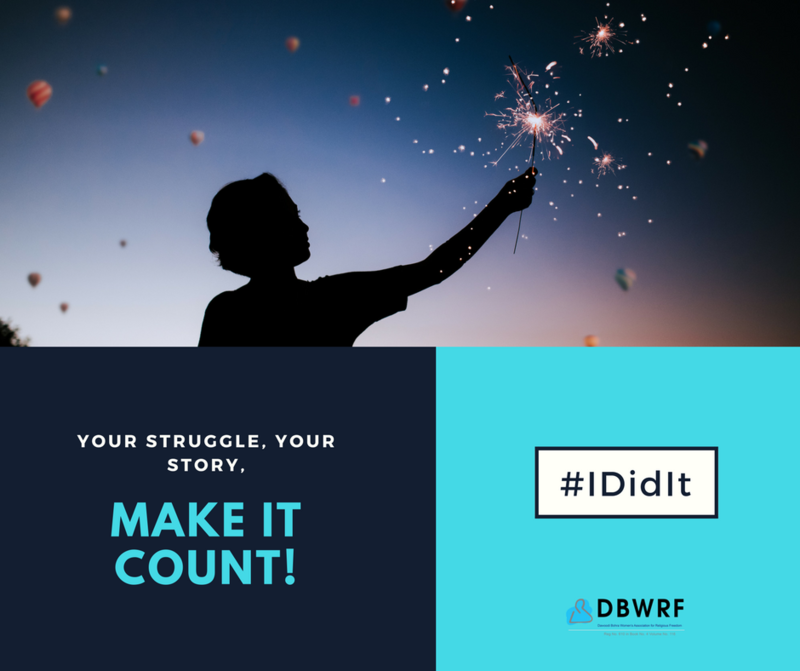 Their stories are nothing short of spectacular and we believe these women deserve a chance to share their #IDidIt moments. In order to give Dawoodi Bohra women a platform to share their success stories, we ran a contest which saw a number of women enthusiastically sharing anecdotes as a means to inspire others. In this series, we give you the top three stories which have inspired us. Please note, we have retained the original entry as is, since each story is the voice of the individual lady and we wanted their story to be told in their own words. I had to join my husband’s business which was all disorganised. I entered into entrepreneurship and became the youngest Woman entrepreneur. I entered into entrepreneurship of coated wires and manufacturing of wire-o-wire, which is a book binding element used for all prestigious book binding. I started my manufacturing unit in Palghar and had no buyers for months and months. I worked hard and put in great effort to market my product. With the help of Qardan Hasana I had incorporated all imported machinery to manufacture wire-o. I used to travel from Mumbai to Palghar every other day to run my company and do all kinds of work in it to cut down on my expenses, I used to load Tempo’s, offload material, be a machine operator, do my own accounts, marketing, packing and all kind of other skilled and unskilled work I used to undertake. My husband was an engineer and the main technical head. He used to always be there whenever we had a machinery breakdown. Marketing my wire-o many a times got tears in my eyes. After 22 years long journey of struggle and challenges has given me today an established company “Taiyebji Wires Pvt Ltd” and people who are associated with me and my work call me Taiyebji Madam, and Wire-O Queen- yes my product is known all over India and in the world - Brand “Taiyebji “. I travelled to few places in the world to learn how the western countries manufacture and deal with this trade of wire-O-wire. I gathered immense knowledge and immediately put it into application by improving Production, Quality, Packaging, making my company a leading producer of wire-o with international standards. Today my product is used by all stationery exporters all over India, our material is also supplied to Walmart, staple paper and other MNC’s. I have a team of workers which is “Team Taiyebji”. I am a survivor of my situation. All this I have achieved through the blessings of Syedna Mohammed Burhanuddin Maula(RA) and my spouse who has been my teacher and my pillar of strength. And thanks to FMB niyaz thali which gives me ample time to devote to my work, all while wearing a Rida all the time and being a complete Dawoodi Bohra Woman - Yes IDidIt. Thank you DBWRF you gave me the courage to acknowledge my achievement. Thank you. I believe that it takes only one person to change your life – You. Ten years back, I decided to do a course in Handwriting Analysis and Grapho Therapy. I've never looked back since then. I remember struggling for a place to do my work in, I remember having dreams of having my own office I would work in. Today when I sit there, I experience my # IDidit moment all over again. I remember having my second child and all the work which I had done, take a backseat again. I remember enjoying and cherishing these moments and making them work to my advantage. That's when I decided to do a course in Counselling. I remember enrolling for the course 4 years later #IDidit. These stories are just a few examples of Dawoodi Bohra women who are not only well educated and ambitious, but also strong enough to overcome the various challenges life threw at them. These women are also fitting examples of how women can achieve success when they are empowered and given equal opportunities and liberties by their community. We look forward to hearing more such inspiring stories.